ON SALE FOR $15. Eruch Jessawala's stories of Meher Baba have enthralled listeners in Mandali Hall at Meherazad for more than 25 years. Now in one volume are collected the best of those stories, including the contents of two earlier books, Is That So? and Determined To Be His, and more than 100 pages of new stories and perceptions, all of them tightly focused on following, loving, and obeying the Avatar. Published 1995. Reprinted 2010; now includes original introductions to Is That So? and Determined to Be His and an updated bibliography. In May 1938, in Panchgani, India, Meher Baba spelled out on his alphabet board to the twenty-two year old man standing before him, “Is it possible for you to leave everything and come to me?” The young man replied, “By your grace, anything is possible.” “Good,” Baba said. “Come on 1st August 1938.” As Eruch turned to leave, Baba further spelled out, “Is it possible for your whole family to leave everything and come to me?” Without hesitation, Eruch repeated, “By your grace, anything is possible.” Those six words sealed the destiny of Eruch Jessawala, his parents (who had been in Baba’s contact since the 1920s), and his two younger sisters and brother. Until the end of his life, Eruch would confess, “Why I said that, I have no idea. But I have exercised my freedom to become his slave." 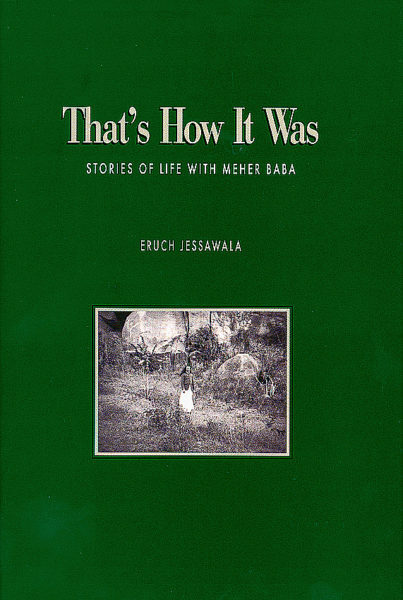 Eruch became one of Baba’s closest disciples and is known throughout the Baba-world as his “voice”, the main interpreter of Baba’s alphabet board and hand gestures. He also served Baba as his personal attendant, travel companion, “mast-hunter” [mast = god-intoxicated souls], and scribe for Baba’s book God Speaks as well as numerous letters, messages and circulars. 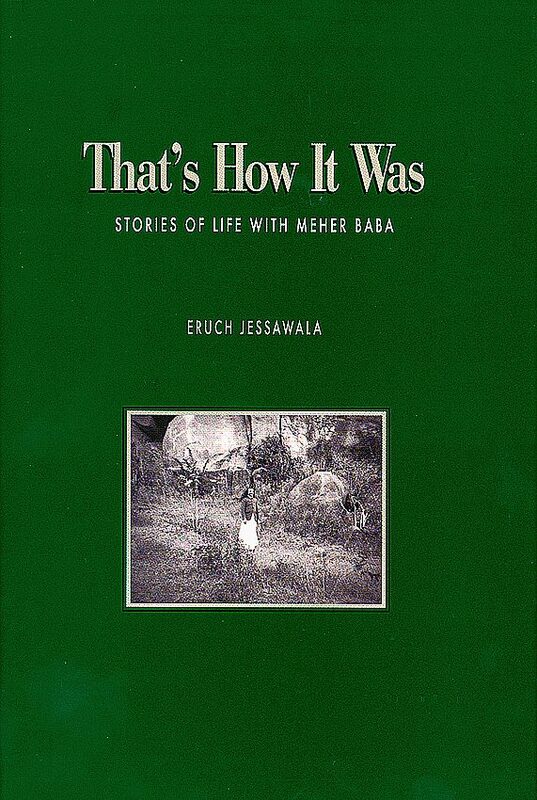 For the thousands of pilgrims who came to Meherazad after Baba passed away in 1969 until Eruch’s demise in 2001, Eruch’s stories of the human side of the God-man brought Baba’s advent to life. A raconteur extraordinaire, he tirelessly shared Baba’s message and his own stock of simple spiritual wisdom gleaned from a life with him.